1. 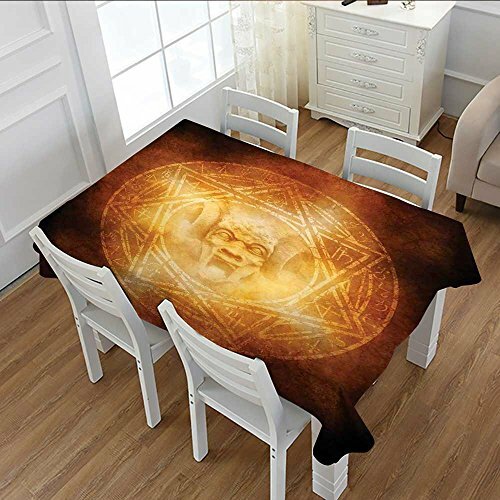 Pattern description: Horror House Patterned Tablecloth Demon Trap Symbol Logo Ceremony Creepy Scary Ritual Fantasy Paranormal Design Dust-proof Oblong Tablecloth Orange 52"x70"
2. Tablecloth Material: Damask Polyester Tablecloth Size: 52"x70"
If you have any questions about this product by Littletonhome, contact us by completing and submitting the form below. If you are looking for a specif part number, please include it with your message.